Cal Hubbard is the only man in the baseball, college football, and pro football Halls of Fame. 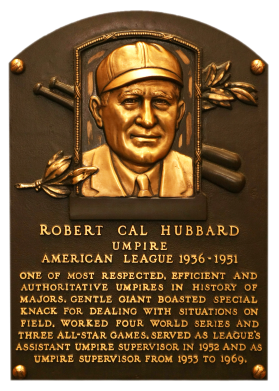 While starring as a football tackle, Cal umpired in his off-seasons, and when he retired from football became an AL umpire. 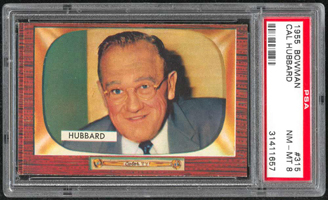 He weight 250 pounds, and few players chose to argue with Hubbard. 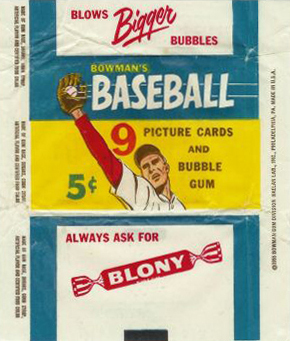 Comments: Umpires don't have too many cards available if you're a HOF collector. 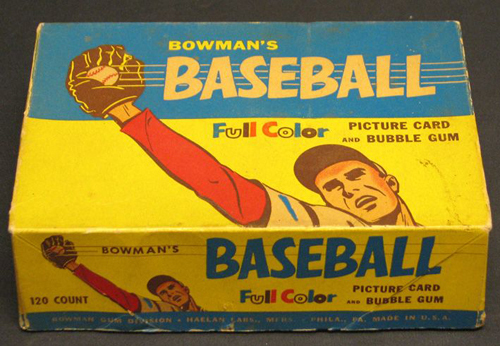 Luckily Bowman put out this set. I first purchased a PSA 5 on eBay in Aug, 2003 and quickly upgraded to a PSA 7 in June, 2004 with another eBay purchase. 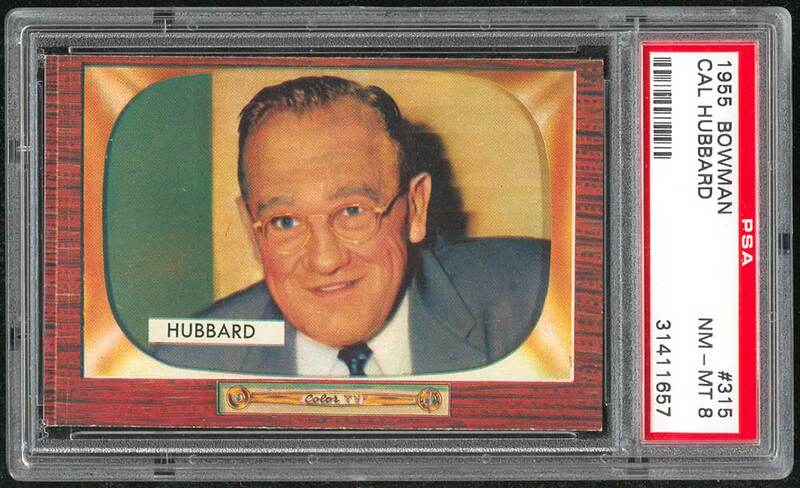 I upgraded to this PSA 8 when I won an eBay auction from Steve Hart/ Baseball Card Exchange in Feb, 2006. 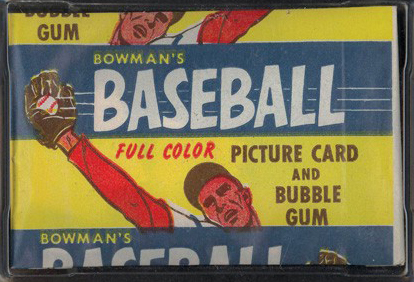 Description: Bowman produced its final baseball card set as an independent card maker in 1955, a popular issue which has color player photographs placed inside a television set design. 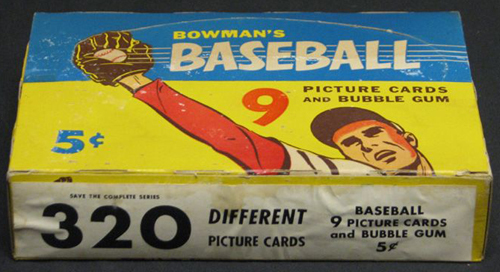 The set consists of 320 cards that measure 2-1/2" X 3-3/4" in size. 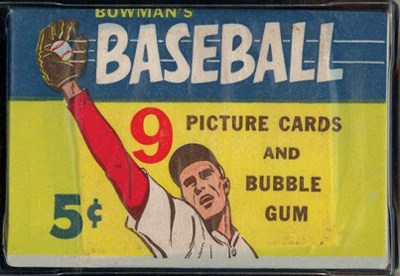 High-numbered cards (#s 225-320) appear to have replaced certain low-numbered cards on the press sheets and are somewhat scarcer. 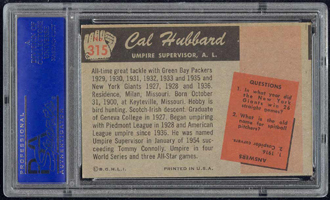 The high series includes 31 umpire cards.